India conducted general elections between 7th April and 12th May , which elected a Member of Parliament to represent each of the 543 constituencies that make up the country. 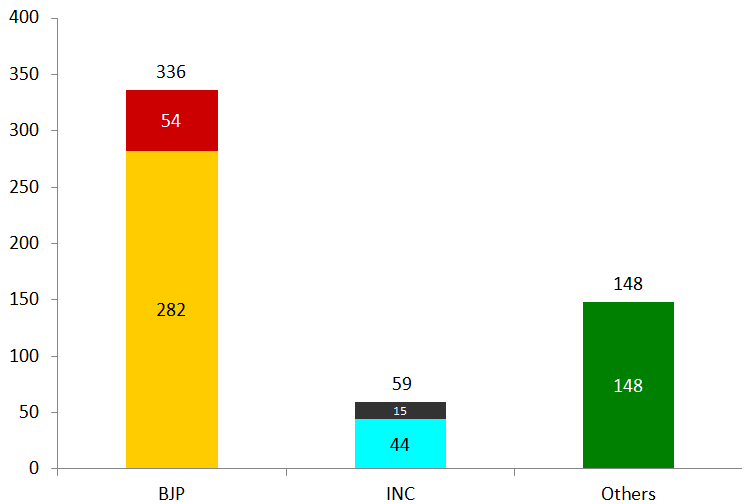 The opposition BJP won 31% of the votes, which yielded them 282 out of 543 seats in parliament, or 52% of all seats. The BJP allied with smaller parties, such as the Telugu Desam Party, to form the National Democratic Alliance (NDA). Altogether, the NDA won 39% of the votes and 336 seats (62%). Turnout was pretty good: 541 million Indians, or 66% of the total vote bank, participated in the polls. Google and Bing both performed excellent analytics on the election results, but I thought Bing’s was easier to use since their visual is a clean and simple India-only map. They actually out-simpled Google this time. 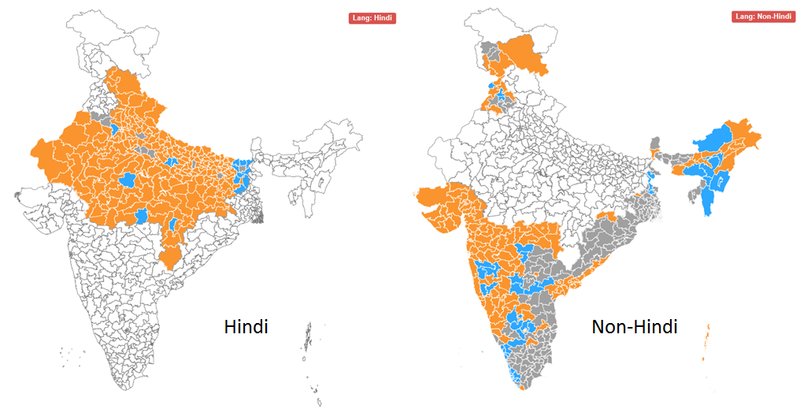 Interestingly, the BJP’s victories seem to come largely from Hindi speakers, traditionally concentrated in the north and west parts of India. Plenty of non-Hindi speakers voted for the BJP too, such as in Gujarat and Maharashtra, but votes in south and east of the country generally went to a more diverse pantheon of parties.